You will be able to find different types of information mostly related to the effect of microbes on drugs (more specifically on the effect of human microbiota on drug disposition or pharmacokinetics). In the future, there may be more information about more complex drug-microbe interactions, and about microbes as drugs, drug factories, or drug-delivery vehicles. 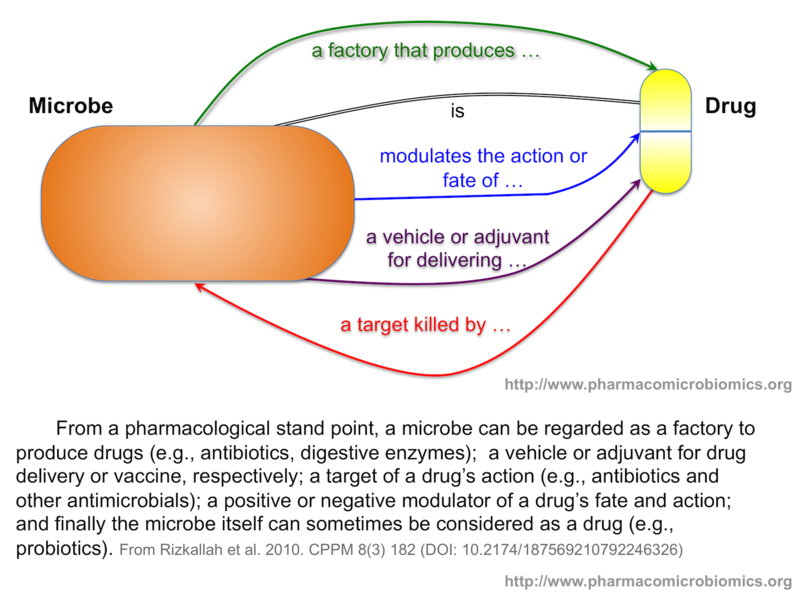 a list of references to publications describing body site-drug-microbe interactions. Many of those publications have been already curated in the "relations" table, but some of them are not. You can also find more entries still in "draft" format (mostly Google Docs) that describe a long reading/task list for our current or future curators, and also for those community volunteers who are willing to join our efforts. This drug-microbiome database was designed and built as the graduation project of the Open Source Technologies track at the Information Technology Institute (ITI) in June, 2011. Django, the Python-based framework, was used to build the web portal, and JQuery libraries. JLinkPreview plugin is provided by Sarpdoruk Tahmaz. This template is distributed under a Creative Commons Attribution 2.5 License by Arcsin Web Templates. The project is hosted by WebFaction.